"For my government, the Constitution is its real holy book. 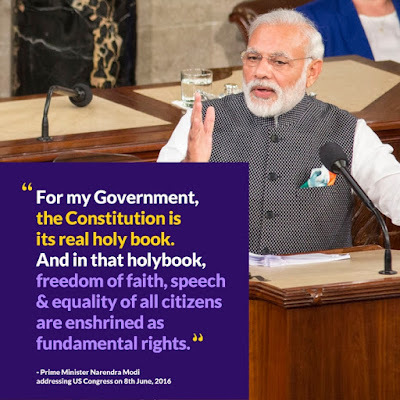 And, in that holy book, freedom of faith, speech and franchise, and equality of all citizens, regardless of background, are enshrined as fundamental rights," Modi said during his recent 45 min long speech in the joint session of US congress. Back home, We have just witnessed a Film being almost banned by a censor board for showcasing the drug problem of certain state, when the film director denied to adhere to their 89 cuts. A city in Uttarakand is looking at a communal clash, one of his own party members claiming in a viral video that he would make this country 'Muslim Mukt'. While it must be applauded that Modi as a PM maybe trying his very best to get all the foreign relations in the good place, it must also be noted that the religious violence, social crimes back home is still our concerns. It should also be noted that there have been cover ups to such reports, National crime records bureau counts more then 1200 communal Incidents in 2014 while government records suggests just 644 cases. There has been numerous incidents of mob lynching, celebrity bashing's by politicians over their statements (some going up to violent measures openly) or communal hate speeches, these numbers doesn't seem to decrease. Also Read: Rituals-where does it come from? While I understand that Foreign policies and ties are necessary for a country to make its mark on the world, there must be peace within the country too. 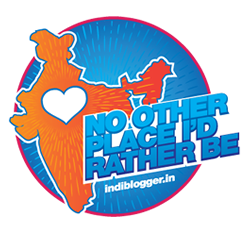 Why is it that the whole country comes together only when there is a national tragedy, festival or a cricket match, and then starts distinguishing itself back to its religion, caste, race once its all over. I think, for the betterment of country, PM must start with a clear statement of what he expects form his own party members. He should not be worrying about losing support, because he has enough support from the common people and that's what matters. Also its the people who have to do their part, there are certain sections of society who believe that anything Modi does is right and anybody questioning him is wrong. if you think that, he is the only person who is trying or has tried then that isn't true. Former PMs have also done speeches and received standing ovations, created fear in our enemy countries, signed important deals, Modi is not the only one. No doubt Narendra Modi is a very good orator and you would love to hear him speak, but their is difference in a good speaker and a good leader and a PM who could not control his own party members, will not be able to help anyone. There are plenty of cases in India that needs his attention and for that he needs to be here. P.S. These are my opinions, you are welcome to share yours.